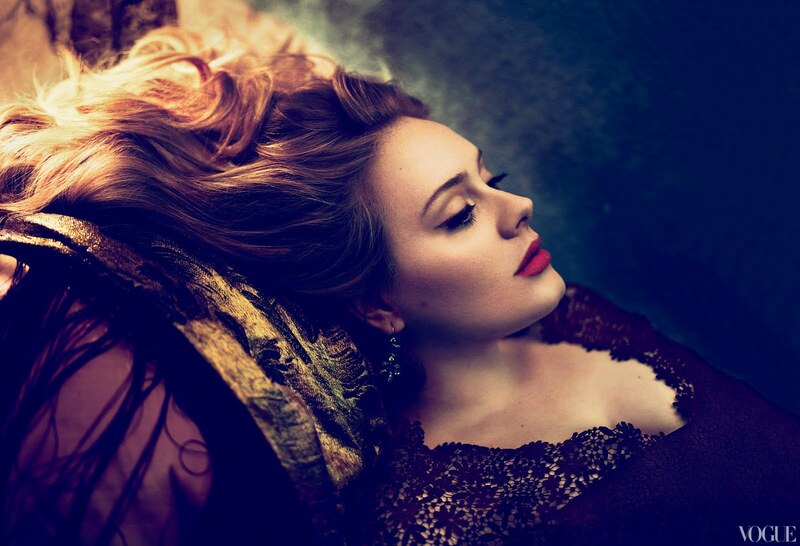 Adele is one of the very, very few artists that doesn't require people acquired tasting before you start to listening to her songs endlessly. She is by far, the most brilliant singer of our time (move over Lady Gaga) and I cannot help but marvel at her outstanding talent. 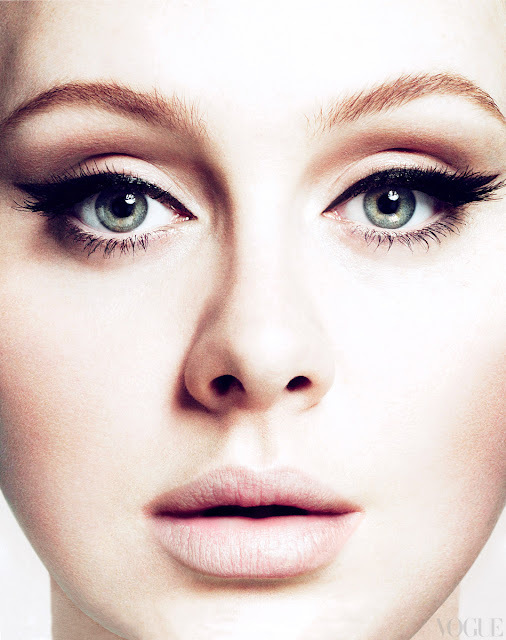 That said, aside from her voice, Adele is also a very beautiful singer. 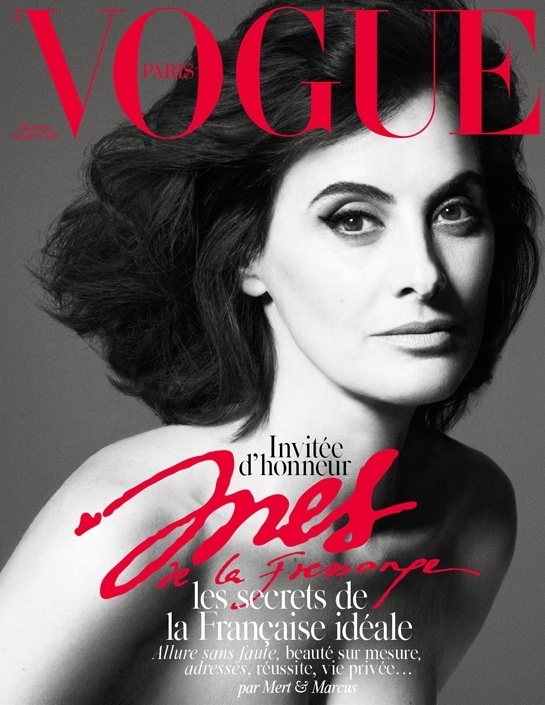 Feast your eyes on her being featured on American Vogue's March issue. Ladies? Do you remember that victorious day at the Grammy's? Yes, this is something as memorable as that as well. To see Adele in her current figure now and see her face the guy who broke her heart would be something I would most certainly be excited about. One can dream. Ha. Kudos to Mert Alas and Marcus Piggot for these gorgeous pictures. 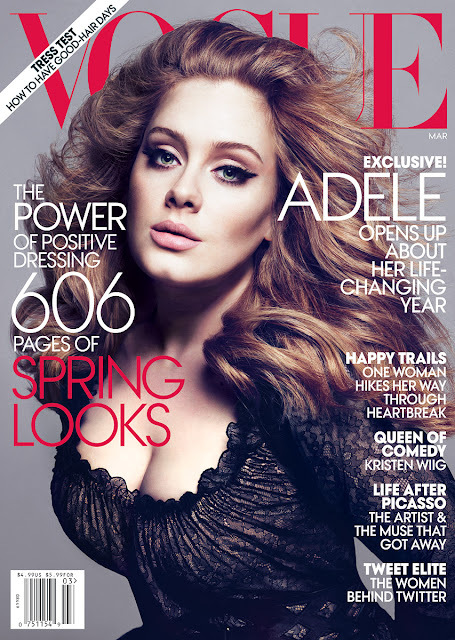 Isn't Adele A-mazing or what?